Update, February 24 12:55pm PT: Uber is speaking out against the lawsuit, calling the allegations Waymo has made against it "baseless". "We are incredibly proud of the progress that our team has made," an Uber spokesperson told TechRadar in a statement. "We have reviewed Waymo's claims and determined them to be a baseless attempt to slow down a competitor and we look forward to vigorously defending against them in court. "In the meantime, we will continue our hard work to bring self-driving benefits to the world," the statement concluded. Waymo is offering no further comment on the matter, directing us to its lawsuit claim and a Medium blog post instead. In one of the first big legal battles to hit the growing self-driving car sector, Alphabet-owned Waymo just filed suit against Uber and Otto, a self-driving truck company, alleging the defendants stole its valuable trade secrets. Waymo, which was recently spun out as a subsidiary under Google's parent company Alphabet, claims Anthony Levandowski, a former Google employee, downloaded more than 14,000 files of highly confidential and proprietary information before he resigned to co-found Otto. Uber bought Otto in 2016, and now Levandowski runs Uber's self-driving car efforts. Waymo's court filing says Levandowski went to extraordinary lengths to accomplish the mass download, which, among other items, contained designs for a custom LIDAR circuit board. The circuit board is the canary in this case; Waymo apparently learned about the theft when it was inadvertently copied on an email from one of its LIDAR parts suppliers. The email had an attachment purporting to show an Uber LIDAR system, but Waymo recognized the design as its own. The filing says Waymo's LIDAR can pick up hazards a human may not detect, and calls its sensors the most advanced and cost-effective around. It credits its LIDAR for allowing one of its steering-wheel-and-foot-pedal-less cars to complete a fully autonomous journey on public roads. Levandowski wasn't alone in downloading Waymo files; the company alleges other former employees stole its trade secrets, then subsequently went to work at Uber and Otto. In the filing, Waymo calls Uber and Otto's actions a "calculated theft", one that "reportedly netted Otto employees over half a billion dollars and allowed Uber to revive a stalled program, all at Waymo's expense." What could this mean for self-driving cars? Waymo wants a jury trial, and ultimately is seeking to stop Uber and Otto from using its self-driving technology any further as well as the return of all stolen information and compensation. Obviously, if Waymo wins, Uber's autonomous vehicle efforts would be gravely impacted. Those have included launching self-driving cars as part of its ride-sharing service in select markets. 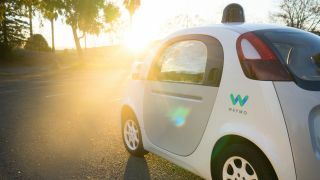 A long court battle that drags on for years might be difficult for Waymo to weather, though of course if the allegations are true and Uber and Otto are found at fault, Waymo would no longer have to compete against the very technology it developed. We've asked Uber for comment on the lawsuit and allegations, and will update this story if we hear back.